Whether you have a massive plot, or just a few patio or window box planters, growing fruit and vegetables is great fun as well as healthy. From brassicas to blueberries, nothing tastes like home grown! You could even share your garden with others. There’s so much more to allotments than growing fruit and veggies! They provide an opportunity to unwind in the fresh air, make new friends, and swap seeds, growing tips, produce and recipes. Allotments have never been more popular, and Edinburgh isn’t an exception with 1,434 allotment plots across 21 sites in the city. The links below will help you to sign up for your piece of Edinburgh to grow your own! Communities in Edinburgh are becoming much more engaged with good food. Pop in to one of the many community food growing projects and you will find great ways of connecting with people – growing, learning, getting fit and celebrating together on your doorstep! It’s an exciting time for setting up your own small food business, whether you want to run a farm or a smallholding. There’s plenty of support out there to help you over the hurdles of getting land, funding and business support. Edinburgh has some great small, local sustainable food businesses, ranging from bigger and more high profile farms like Craigies to smaller operations like the Secret Herb Garden. Buying good food from independent local growers, farmers markets and shops in Edinburgh is a great thing to do for so many reasons! It benefits the local economy, provides jobs, is best for the environment and climate and adds to the colour and vibrancy in our city. Independent food shops need our support. We need to use them or lose them! If you have the time to look, there are affordable box schemes that deliver lovely vegetables to your door, or bakeries selling fresh and tasty bread. Some of the many community gardens sell their produce, or if you grow your own some projects run swap schemes where you can exchange your surplus produce for something of theirs. It’s also so important not to waste food. Scotland throws away 630,000 tonnes of food and drink from our homes every year and most of this could have been eaten. This waste costs us over £1 billion a year, or £470 for the average household. By planning our shopping and by using recipes that are out there to help use leftovers we can all help to reduce the size of our food waste mountain! From stovies to over-ripe banana loaf, there are plenty of really tasty things you can make with food that might seem past its best. We have lots of help to keep you and your family on track with healthy eating. Eating fresh fruit and vegetables, wholegrains and good quality meat and fish provide the necessary nutrients that your body needs to create new cells, clean toxins, and to just function every day! Eating healthily can help prevent future diseases, give you more energy and help you be more alert. 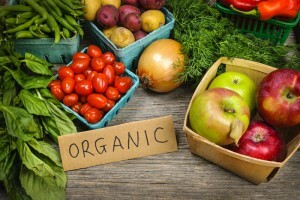 If you manage to eat great, local, fresh, sustainable, fair trade and organic food whenever you can, you will not only be doing your bit for your own health and wellbeing, but you will be supporting the local economy, helping to provide good and stable jobs for workers around the world, giving farm animals a better life and going easy on our fragile planet. 30% of greenhouse emissions in the UK are from our food systems but if we eat locally produced food we can help to cut these emissions. For every £1 invested in local food between £6 and £8 stays in the local economy in the form of improved social and economic outcomes, including health and wellbeing, training and skills. Over two-thirds of people across the Lothians eat less than the recommended five portions of fruit and vegetables a day and 8% of people eat none. 50% plus of all Edinburgh adults are either overweight or obese. We urgently need to make changes so we can all be more healthy! As well as eating better yourself, you could get involved with some of our local food projects, and help your local community to eat better. I/we support Edible Edinburgh in helping to make Edinburgh a tastier, happier, healthier and fairer city. Display name on the website? Your email address is never displayed! Opt-in to receive email updates? 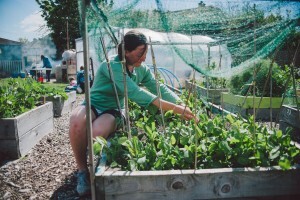 Transition Edinburgh South and Edinburgh Food Social have produced a yearbook highlighting all the good work being done around Gracemount Walled Garden, involving local residents, schools, youth groups and volunteers of all ages and from many organisations.